In 1887 two American physicists, Michelson and Morley, performed what has turned out to be one of the most historic but misunderstood experiments in physics. Abstract: This article presents the historic development of the aether theory from a scientific (rather than a philosophical) perspective. In step-by-step table format, one may follow the chronology of the exploration of various theories of the medium of the universe —the medium, sometimes equated with absolute space. One may follow the twists, turns and detours —the unexpected experimental results, the new theoretical insights, the unfortunate misinterpretations— of one of the most compelling concepts in modern physics. ... The highlight of the theory development came in the pivotal year of 2002 with the introduction of two testable models based on luminiferous AND gravitational aether: One of these employs a dynamic aether as the first luminiferous-and-gravitational aether in the context of the expanding universe model. The other employs the dynamic aether as the first luminiferous-and-gravitational aether in the context of the non-expanding cellular-universe model. In both theories, it is the presence of aether that causes actual relativistic effects. For a printable copy follow: The History of the Aether Theory (includes detailed references). Aether is the basic substratum of all space; aether is the raw essence of the Universe. Aether permeates the innermost recesses of all matter. Without it the universe is contrary to nature, contrary to reason and common sense. Without it the universe is utterly absurd. And what is worrying is that the scholars who have meticulously assembled our complex picture of the universe know it is absurd. Consider this: The cosmology that is studied in universities the world over, and practiced in the relevant research departments, is a cosmology devoid of the concept of aether. Assumed to be a dispensable relic of 19th century voodoo science, the aether was discarded a long time ago. And the resulting universe model, missing a vital ingredient, has not worked properly since. In fact, as a depiction of reality the class of expanding universe models —of which the various big bang (BB) models are a subset— has been an utter and complete failure. Professor Sean Carroll is a proponent of the General-Relativity expanding-universe —even though he finds it to be staggeringly unnatural. As I understand it, a universe that is “preposterous” is (and my Webster Dictionary will back me up) a universe that is "contrary to nature, reason, or common sense; utterly foolish; absurd." Undoubtedly this is the meaning that the professor intended. One must realize that Sean Carroll is not some rebellious radical trying to overthrow the expanding universe paradigm, or trying to reinstate the aether. Not at all. As a practicing physicist/cosmologist and a recognized authority on the expanding universe, he is steadfastly committed to resolving the absurdity without venturing outside the BB box, so to speak. In Carroll’s view, "... a major challenge to cosmologists and physicists in the years to come will be to understand whether these apparently distasteful aspects of our universe are simply surprising coincidences, ...[whose] underlying structure we do not as yet comprehend." Unfortunately he is like many others who, for whatever the reason, are unwilling or unable to examine plausible solutions outside of BB cosmology. What one must realize is that BB cosmology as a plausible theory has two towering handicaps. First, it embraces the unscientific concept of the expansion-of-the-whole-universe. This is blatantly unscientific because it involves an unnecessary extrapolation of a perfectly valid regional phenomenon called space expansion (regardless of how space is defined). Second, it is based on an incomplete theory of gravity, Einstein’s general relativity, which implicitly denies the existence of aether-space. Aether is the ingredient without which these two handicaps cannot be overcome while maintaining the all-important connection with physical reality. Aether is the ingredient without which the picture of our Universe is quite unnatural and simply preposterous. The history of conventional cosmology, as the science striving to model the real world, is a revelation of failure; and, after more than a century of Ptolemaic tinkering Academic Cosmology has managed to construct “the preposterous universe.” The cosmology practiced by modern Academia may be said to have originated in 1905 with Einstein’s theory of relativity. In that year, by one of the giants of physics, the foundation was laid; and the fateful error-of-omission was rooted. Einstein’s highly influential theory of motion, space and energy was the first 20th-century theory to embrace the popular misinterpretation of the Michelson and Morley experiment of 1887. In 1905 Einstein incorporated an implied rejection of luminiferous aether. Although there is nothing in the theory explicitly denying its existence, the authoritative message was that aether is superfluous and unnecessary. When it came time to construct the first scientific model of the Universe, the task naturally involved Einstein, who by 1916 had formulated general relativity, a new theory of gravity. As one would expect, general relativity, being a purely geometric model of space and time, also denied the existence of aether (thereby maintaining consistency with special relativity). Hence, Einstein’s general-relativity universe-model of 1917 and all his subsequent cosmology models contained the implicit aether denial. Furthermore, since almost all 20th century universe models are based on general-relativity, they compliantly deny aether as well. The vast majority of journal publishers participate in the denial. Any theory or model that dares to incorporate the aether concept will simply not be accepted for mainstream publication. There are some serious problems associated with aether denial. The problems are several and multi-layered. I will deal with these later and shed further light on how 20th century scientific cosmology got it so terribly wrong. But first I will detail the historic development of the aether theory. Aether was needed for several reasons: (1) Philosophically it has always been difficult to define absolute and total nothingness. Aristotle rejected the notion; in his worldview there was no void or vacuum. Descartes considered “it contrary to reason to say that there is a vacuum or space in which there is absolutely nothing.”  (2) During the Scientific age there arose the demand for a suitable medium for the propagation of light. In this capacity it was called the luminiferous aether. Isaac Newton, Christian Huygens, and Thomas Young were the early developers of this idea. (3) With Faraday’s discovery of lines of electrical and magnetic force, the need for some conducting medium was glaringly obvious. (Remember those lines of force magically revealed by a sprinkling of iron filings?) Faraday’s abstract field concept could be more meaningful if there was some appropriate medium to fill it. (4) Then, with Clerk Maxwell’s electric and magnetic wave theory there again was a need for a propagating medium. A more inclusive luminiferous aether was called for. Aether was enlisted to serve for the propagation needs of all electromagnetic waves. And there were further reasons. (5) Aether provided the perfect explanation for the phenomenon called stellar aberration which had been discovered by the English astronomer James Bradley early in the 18th century. The aberration of starlight is the apparent angular displacement of a star in the direction of motion of the observer. Because of the motion of the Earth around the Sun at a speed of about 30 km/second, an observer will see a star not in its true position but in an apparent position. An explanation of the effect is consistent with the motion of Earth through ‘stationary’ aether. (6) There was (and still is) a need to establish a frame of reference for the measurement of what is termed absolute motion. Referencing relative motion, of course, was not a problem; the details (at least for classical speeds) had been worked out by Galileo. With his equations, one could relate the velocity of an object to any arbitrarily chosen frame of reference (stationary or moving). However, what if one wanted to determine the motion of something, not with respect to another object or frame, but rather with respect to space itself? In other words, take away the “relative” aspect and try to define some sort of fundamental meaning of motion. If space is truly and totally empty, then there is a problem. Then there would be no way to reference absolute motion —no way to answer the question, absolute motion with respect to what? Clearly, something more than “space” was needed. And for 19th-century physicists like Augustin Fresnel, Albert Michelson and Edward Morley, and others, aether was just the thing. Aether could give motion its deeper meaning. The frame “attached” to a proposed aether, and motionless with respect to it, could serve as a preferred frame of reference. Absolute speed then acquires meaning —absolute speed with respect to aether-space (not with respect to the observer). The motivation for such a reference was extremely important and should not be underestimated. “Without such a reference ... the very idea of motion becomes vague, and all of the nineteenth century development of physics becomes shaky.”  By mid-nineteenth century it became clear that no material object in the universe represented a state of absolute rest and that absolute motion could not therefore be measured relative to any material object. It was not merely a hypothetical issue. The need for some kind of absolute reference was real; after all, physicists were incorporating into their theories and equations a kind of motion that was inexplicably invariant. The speed of light —the speed of photon particles or EM waves— is absolute. It is undeniably so. Its absolute value is about 300,000 km/second; but absolute (or invariant) with respect to what? The observer is irrelevant; with or without the observer, the speed has a fixed value. Why? The contemporary way of expressing the historic question goes like this. If all motion is relative, as Einstein’s special relativity theory claims, then how is it possible to enforce Nature’s absolute speed-limit. Her strict speed-of-light barrier is imposed on all entities (entities of all scales). In a rational world, an absolute limit needs absolute motion to which it can be applied. Clearly, the motivation for invoking aether-space resides not only in the historic past. (7) Both Newton’s “spooky” action at a distance and Einstein’s curvature magic were unacceptable as causal explanations of gravity. Aether was needed to (somehow) convey the gravitational force or effect. René Descartes and Christian Huygens invoked a swirling aether-fluid to convey gravitation. Newton himself suggested that there may be variations of some sort in an all-pervading aether. Then jumping to the 21st century: Reginald Cahill explains gravity as a self-dissipating (contractile) process of aether-space; and DSSU theory (the theory of the Dynamic Steady State Universe) explains unified gravity (Lambda and normal gravity) as a dual-dynamic process of aether. (8) Undoubtedly, the most powerful motivator was the experimental results that demanded the existence of aether. The repeated detection of absolute motion —of Earth’s absolute motion through space— provided the vital evidence of a preferred frame-of-reference, which is simply the frame in which the aether is at rest. Beginning with the famous experiment of 1887 and then in at least six other documented experiments, the evidence was found. As we saw earlier, the concept of absolute motion is inseparable from the concept of aether. Thus, if you find evidence of the former then your theory must include the latter. The notion of a universal medium permeating all space has undergone many vicissitudes and spawned even more variants. The posited substance called aether has changed considerably over the time period covered by the Table. Sometimes the change was radical. It is a pattern that the history of science has witnessed before. For instance, the electron posited by J. J. Thompson differs radically from the electron defined by Schrödinger’s wave equation, which in turn differs just as radically from the electron defined by Dirac’s relativistic theory of the electron. In the same spirit, the static aether of Huygens and Maxwell differs radically from the mono-dynamic aether of Augustin Cauchy which in turn differs radically from the dual-dynamic aether of DSSU theory. Electron or aether, when posited under a more advanced theory was able to explain more phenomena. Prior to the period called the Scientific Revolution, aether was a recurring idea in ancient worldviews and philosophical doctrines. Aristotle believed the heavens (that region beyond the sphere of the Moon) are made of a fifth substance called aether. Unlike the other four substances, which can be transformed into one another, aether is unchanging and indestructible. The planets, for instance, are carried around by a sea of aether moving in whirlpool fashion, producing what we would call gravitational effects. All space was a sea filled with matter that swirled around in large and small vortices (forming the Cartesian Vortex universe). Newton’s force-law of gravity lacked a causal mechanism and an explanation was sought of how such a force could be transmitted over vast distances through apparently empty space. “Newton at times thought universal gravity might be caused by the impulses of a stream of aether particles bombarding an object or by variations in an all-pervading aether” but did not advance either of these notions in his Principia because, as he ultimately said, he would “not feign hypotheses” as physical explanations. His followers, however, proposed that the gravitational effect of a body would be expressed as a distortion of the aether ---a distortion that travels outward as an ‘aether wave,’ much like a sound wave travels through air, and eventually reaches another body and affects it. Newton held the view that light rays consisted of a stream of particles in rectilinear motion and that the light particles stimulated, or were accompanied by, vibrations in an all pervading aether. A corpuscular aether In 1717 Newton published his views on the transmission of gravity and other forces —published in the form of further Queries, added to a new edition of the Opticks. The central feature was a tenuous medium, filling all space, which he called the aether. As noted above it was a luminiferous aether. Furthermore, it conveyed the forces of cohesion and repulsion by which matter was maintained in ordered systems. But most interestingly it had a variable density. Newton supposed the aether to be denser in empty space than in the vicinity of massive bodies and thereby provide a mechanism for gravitational attraction: the Earth then moved towards the Sun under the pressure of the aether, like a cork rising from the depths of the sea. In the controversy over a continuous versus discrete medium, Newton, who was now seventy-five years old, conceded that the aether itself might be corpuscular. Evangelista Torricelli (1608-47) Vastly more subtle than air It was one of the most significant experiments of the 17th century. Essentially it eliminated the traditional Greek element “air” as being identifiable with aether. What the space above the mercury in the barometer tube contained was “subtle matter” many times lighter than air. In order to explain, without employing magical action-at-a-distance, the transmission of light, heat, and magnetism across the Torricellian vacuum, it was necessary to postulate a subtle medium, or aether, which remained when the air was removed. In 1678 and 1690 Huygens proposed a wave theory of light in which waves propagated longitudinally through a stationary aether. The speed of propagation was finite. This aether was continuous throughout space and consisted of hard elastic particles which transmitted impulses without being displaced themselves. Huygens, a follower of Descartes, shared the view that gravity was nothing more than "the action of the aether, which circulates around the centre of the Earth, striving to travel away from the centre, and to force those bodies which do not share its motion to take its place". In 1669, to demonstrate the idea, he conducted a simple experiment that seemed to support the vortex theory of gravity. A whirlpool was induced in a bowl of water; this action caused pebbles to be drawn to the centre of the vortex at the middle of the bowl. James Bradley detected the apparent displacement of stars; a phenomenon he attributed to Earth’s orbital motion. This was clear evidence that the speed of light is not instantaneous. Swiss mathematician & physicist Kinetic aether In 1748, Le Sage proposed an aether consisting of tiny particles ---he called them ultra-mundane corpuscles--- streaming in all direction with enormous speed. Le Sage used this aether as the basis for a kinetic theory of gravity (which theory was based on the mechanical model of gravity originally proposed by Newton's friend Nicolas Fatio de Duillier in 1690). According to this theory, the "ultra-mundane corpuscles," moving at high speed and coming from all directions, are continually impacting on all material objects. Any two material bodies would partially shield each other from the flux of impinging corpuscles and establish a pressure imbalance. This imbalance, then, tends to drive the bodies together, and so, provides a 'push-gravity' explanation for Newton's gravitational force. Le Sage's aether may be considered the first to serve in a theory of the cause of gravity. But note, it was NOT A GRAVITATIONAL AETHER; it was kinetic rather than dynamic! The great Swiss mathematician conjectured that the aether transmits not only heat and light, but also magnetic and electric forces and gravitation. Euler was a notable adherent of the aether-wave theory of light, as opposed to Newton’s corpuscular version. French mathematician and astronomer Variable density Laplace investigated the ideas that the density of the aether was proportional to the radial distance from the center of a body (the Sun for instance) and that the force of gravity is generated by the impulse [a pushing action? a kind of gravity wave?] of such aether medium. Laplace hypothesized that the effect of gravity is propagated with a speed between 7-million and 100-million times that of light. [“Traitè de Mécanique Célèste” 1803; “Exposition du Système du Monde”] This rules out the notion that the flow of the medium itself is involved in Laplace’s cause of gravity. Young’s wave theory of light (1801), like Huygens’, consisted of longitudinal vibrations (similar to sound waves) in a luminiferous aether. A gas, of course, readily conducts such waves. Young’s famous 2-slit interference-pattern experiment allowed him to precisely measure the wavelength of light. The phenomenon of light polarization doomed the longitudinal-wave hypothesis. Polarization seemed to establish the fact that light consisted of transverse waves. And transverse waves demanded a rigid-substance type of medium. In 1817, French physicist, A. Fresnel (1788-1827) introduced the transverse wave theory of light which could account for all the known phenomena of optics; consequently the aether became solid-like and rigid yet allowed the free passage of heavenly bodies. In Fresnel’s view, the aether flowed through the interstices of material bodies even on the smallest scale; but he did allow for matter to have a small dragging effect on the aether. Thomas Young, in an effort to accommodate light polarization, reintroduced his wave theory. This time he proposed a periodic TRANSVERSE displacement of aether particles. Stokes’ view was that aether was rigid enough to convey transverse light waves, but could not be compressed or expanded ---and simply yielded to permit the movement of objects within it. But unlike Fresnel’s aether which flowed almost unhindered through all matter, Stokes’ aether is somehow restricted in its otherwise free movement. The implication is that Earth, for instance, not only has aether flowing through its mass but also drags aether along with it. His was an entrained-aether hypothesis and was later invoked by D. Miller as an explanation of the unexpectedly low velocities his data indicated. It should be pointed out that Cauchy (see entry below) was the first, as of 1831, to propose a theory whereby the Earth drags the aether. Stokes adopted the aether-drag concept around 1845. Theory #1: Aether changed in density. Theory #2: Aether changed in elasticity. Theory #3: Then in 1839 Cauchy proposed an aether that was contractile or “labile,” “possessing a negative compressibility.” [Mason, p472] Today we would call this a negative Λ or a simple gravity effect. Physicist George Green pointed out that Cauchy’s contractile aether would be unstable tending to contract all the time. Maxwell expanded and developed the qualitative aspects of Faraday’s conception of lines of electrical and magnetic force. Finding “it inconceivable that a wave motion should propagate in empty space” he, therefore, employed the aether of the contemporary wave theory of light. “Lines of force, Maxwell supposed, were tubes of [a]ether rotating on their axes. The centrifugal force of such rotations caused the tubes to expand sideways and contract lengthways, as Faraday had suggested in order to explain attraction and repulsion.” And it is these rotating tubes that carry electrical particles along, from one tube to the next and the next, in what amounts to a form of transverse undulations at the speed of light. This aether is a quasi-material elastic medium. Whether it is ultimately continuous or discrete was left undecided. Maxwell’s theory treats aether as the preferred frame of reference in which light propagates with constant speed in all directions. Notwithstanding the inclusion of microscopic rotating tubes, aether was viewed as a stationary medium. Many other aether models were proposed during the latter half of the nineteenth century. Some models even attempted to accommodate the properties of matter. But for the most part, 19th-century aether served only to transmit the force of gravity and the waves of the electromagnetic spectrum. Aether itself was unaffected and therefore could not be set in motion. Prior to 1887 aether was hypothetical. Post 1887, aether was real. Using a Michelson optical interferometer mounted on a sandstone base, the aether wind was measured to be 8.8 km/s during noonday observations (and 8.0 km/s during evening) relative to the Earth. Unfortunately, this was considerably less than the 30 km/s, which would be expected due to the Earth’s orbital motion about the sun. What at first appeared to be an anomalous finding was downgraded over the years and became the so called ‘null result’ now often quoted but entirely without justification. For the first time in history it was proposed that aether has the ability, not merely to change the course of objects (as does gravitational aether), but to change the size of objects. FitzGerald’s aether had the relativistic ability to contract the dimensions of any object: contraction occurring in the direction of motion and in proportion to the speed through the aether! The validity of this theory was later confirmed. Whenever the experiment was performed in a vacuum the aether-effect on the optical interferometer was (and still is) totally annulled. The sensitivity of the optical interferometer was increased by making the physical arm-length 4.30 m, thereby increasing the effective length to 32 m (more than 3 times the length in the 1887 experiment). Then to test the FitzGerald-Lorentz effect upon a different solid, the sandstone base of the optical interferometer was replaced with a pine-wood base. The aether drift measured 10 km/s. Their next experiment was in 1904 and saw the first use of the Michelson interferometer mounted on a steel-girder base. Each arm was again 430 cm long. The instrument measured about 7.5 km/s. In 1905 the same steel-girder apparatus recorded 8.7 km/s. Albert Einstein in 1905 Superfluous aether Historically, the only serious blow against aether came from Einstein when he formulated his theory of relativity. He was puzzled by the fact that the mathematical laws (Maxwell’s laws) governing electricity, magnetism, and light implicitly define a preferred reference frame in which the speed of light is the same in all directions, whereas Newton’s laws of motion and gravitation do not. Why this lack of mathematical harmony? Electromagnetic phenomena require a special frame of reference; yet dynamic phenomena do not. Einstein was faced with a critical choice. He could concur with the three-centuries-old consensus about the existence of aether, accept the FitzGerald-Lorentz explanation of the Michelson-Morley ‘null’ result, and find the special frame of reference that rules motion and gravitation. It would have led to his sought after mathematical consistency. Or, he could achieve consistency by attempting to extirpate the preferred reference frame from Maxwell’s laws. He chose the latter course. But, as the following experimental evidence accumulated, it became ever clearer that he had failed. The preferred frame and the aether refused to go away. Whereas the 1887 MM experiment was the first test of absolute translational motion, the Sagnac experiment was the first test of absolute rotational motion. On a rotating platform, M.G. Sagnac split light from a single monochromatic source into cw and ccw rays that traveled identical paths in opposite directions around the platform. He combined the returning rays to form a visible interference pattern, and found that the fringes shifted as the speed of rotation changed. The procedure involved measuring the difference in the travel time of light rays circumnavigating the rotating disk (0.25 m radius) in opposite directions. The circular path is achieved by the use of mirrors mounted on the disk along the circumference. As in the MM experiment, the time difference was detectable as a fringe shift of the interference pattern of the recombined light beam. Sagnac found, in agreement with prediction, a significant fringe shift. In fact, a rotational speed of 13 m/s produces a full fringe shift. If the speed of light were locally invariant, then speeding up or slowing of the rotation rate of the platform should not change the location of the fringes. However, the fringes do change with speed and we can determine a preferred frame—in violation of the second relativity postulate and the hypothesis of locality. In Dec of 1921 the steel base was replaced with a concrete one to exclude any possible magnetic effects. Same result, 10 km/s. Various apparatus changes and procedural methods were extensively tested. Some improvements were made. Tests of intentional temperature variations in “these experiments proved that under the conditions of actual observation, the periodic displacements could not possibly be produced by temperature effects” as is so often claimed. Throughout the many trials the optical interferometer never failed to produce consistently positive results. Again measured about 10 km/s. While in previous experiments the direction of relative motion between Earth and aether had been assumed, this series of experiments was designed to actually measure the direction. Readings were made throughout 24 hour periods; naturally during the 24 hour rotation of the Earth on its axis there would occur two instances when the fringe shifts became maximum, thereby, indicating the approximate direction of aether drift (somewhat in the manner by which the ocean tides indicate the direction of the moon). Then, by checking the direction —by repeating the 24 hour test— during different seasons of the Earth’s annual Solar orbit, the experiment establishes whether or not the main component of the aether wind is local or cosmic in origin. A more or less constant direction (in the celestial sphere) indicates a cosmic origin. Data was collected April 1, August 1, and September 15, 1925, and February 8, 1926. The line of motion was established but there was some uncertainty as to which diametrically opposite direction actually represented the apex of the motion. 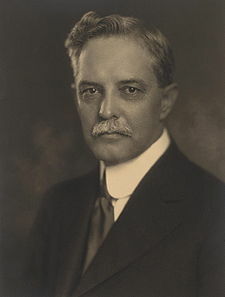 Eventually Miller concluded that the cosmic direction of motion of the Earth and the Solar System is (Right Ascension ~5h Declination ~70°S) towards the constellation Dorado. The speed was calculated to be 208 km/s. In a non-optical experiment in 1991 (see DeWitte, below) the RA direction of ~5h was dramatically confirmed. Maurice Allais using a rigid-arm pendulum having a length of only 83 cm found that the plane of oscillation tended to rotate towards a preferential direction (azimuth) that changed with the rotation of the Earth and could not be explained by the well known Foucault Effect. Many months of observations lead Allais "to the conclusion that, in the movement of the paraconical pendulum ... there are anomalies of a periodic character which are totally inexplicable in the framework of currently accepted theories." Neither Newton's universal gravitation nor Einstein's general relativity could explain the significant periodic change in the plane of oscillating motion. It is interesting and useful to note an essential difference between the Foucault and Allais pendulums. In the former the pendulum’s bob and wire do not turn (relative to the Earth frame) since the bob and wire are not free to pivot, only the nonmaterial swing plane turns; while in the latter the pendulum’s bob-and-rigid-arm assembly is free to turn. The Foucault pendulum measures the Coriolis effect while the Allais pendulum supposedly measures the direction of aether flow. A surprisingly simple experiment (at least in principle). A radio frequency signal travels forth-and-back through a coaxial cable that is 1.5 km long and aligned in a North-South direction. The key data is the difference between the travel times for N-to-S propagation and S-to-N propagation. As the Earth rotates this difference varies. The sidereal time for maximum effect occurs at ~5h and at ~17h and confirms the direction found by Miller over 60 years earlier! Furthermore, the flow speed agreed with Miller’s 1925-26 results. This agreement was revealed years later when R. Cahill’s theory of aether-space showed that both experiments give 420±30 km/s. The experiment lasted 178 days and confirmed that the effect was periodic with sidereal time, not solar time. The aether motion was of extra-solar-system origin —or galactic origin. The type of wave interferometer used in this experiment differed from the Michelson-type in that it measures the first-order effect of the velocity difference along two separate paths taken by the electromagnetic waves (while the Michelson interferometer measures the much smaller 2nd-order velocity effect). The kinematic viscosity of the aether was determined. But most significant is the confirmation that "The velocity of optical wave propagation depends on the radiation direction and ... changes its value with a period per one stellar day." Although the intensity of the effect was small, the variation of the measured ether-drift velocity was distinctly dependent on the sidereal daily cycle, and agreed remarkably well with Miller's findings. Galaev determined that the absolute motion of the Solar system is towards the celestial coordinates (RA = ~17.5h, Dec = ~+65º) which is equivalent to saying that the aether is flowing towards the 180º opposite direction (RA= 5.5 hr, Dec = −65 deg). This is remarkable confirmation of the flow direction (RA= 5.2 hr, Dec = −67 deg) that Miller had painstakingly derived 3/4 of a century earlier. There could now be no doubt that the aether wind is of galactic source from beyond the Solar System. Galaev concluded that the aether is consistent with a medium composed of discrete particles, and that the aether is responsible for electromagnetic waves propagation. Pivotal Year of 2002 First "discovery" of luminiferous and gravitational aether Process Physics represents the first testable theory using a luminiferous and gravitational aether-space in the context of the expanding universe model. The DSSU model represents the first testable theory using a luminiferous and gravitational aether-space in the context of the non-expanding cellular-universe model. Cahill realized that absolute motion through aether-space is the cause of various well-established relativistic effects. Back in 1887 Michelson and Morley were, of course, unaware of the relativistic effects and had simply used the Newtonian theory for the calibration of their optical interferometer. The M-M and the Miller data were carefully reanalyzed, the new calibration factor was applied, and the full magnitude of the aether drift velocity was at long last revealed. That elusive 30 km/s tangential velocity due to the orbital motion of the Earth through aether had been there all along. It was one of three main components contributing to the net aether-flow vector. The other two aether motions were identified as the space inflow converging on the Sun (42 km/s solar concentric), and a substantial cosmic component of 420±30 km/s in the direction (RA=5.2 hr, Dec=−67 deg). This cosmic component represents the aether flowing through the Solar System. Cahill discovered the causal mechanism of gravity as part of a realization that aether-space is a dynamic fluid and a key component of what is known as Process Physics. Gravity is re-defined as the inhomogeneous bulk inflow of aether-space towards and into matter. The key point is that “It is this inhomogeneity rather than the motion [of aether] itself that actually is the phenomena we know as gravity.”  This definition of gravity concurs with the one developed independently within DSSU theory. Based on the epochal insight that the Universe is cellularly structured into cosmic cells of dynamic aether-space. (1) The aether serves as the medium for the propagation of electromagnetic waves. (2) The aether is gravitationally dual-dynamic in the sense that it expands and also contracts. The actual gravity effect is conveyed by the gradient of the rate of change of the bulk motion of aether-space. (3) The aether serves as the nonmaterial substance from which all matter/energy is derived. The aether serves as both a luminiferous aether and a unified gravitational aether. Aether, by being dynamic, is responsible for normal gravity (contractile) as well as anti-gravity (generic Λ). The two are regionally balanced so that |gravity| = +Λ . Aether-space (on the cosmic scale) expands in certain regions and contracts in other regions. This dynamic activity manifests as the cosmic cell structure observed by astronomers. Cells (of cosmic scale) are self-regulating in size and are in a perpetual steady state of simultaneous expansion and contraction. The cells constitute a Euclidean structure that exists within the non-expanding universe. The DSSU infinite universe is a quasi-static lattice-like structure of unit-universes. Electromagnetic phenomena are CONDUCTION properties of the aether-space. Gravitational phenomena are DYNAMIC FLOW properties of aether-space. Agreement with observation is unparalleled. Process-aether was shown to produce the contractile effect (Cahill calls it the 3-space self-interaction effect) that had long been attributed to some kind of mysterious unsubstantiated matter. In effect, Cahill found that dynamic aether is gravitationally more powerful than is Newton’s force and Einstein’s geometrized space. (R.T. Cahill & F. Stokes) Gravitational aether with turbulent flow Optical-fiber interferometer detected aether speeds of 420±30km/s (RA = 5.5±2hr; DEC = 70±10°S). The wide variation is indicative of large wave turbulence effects (i.e., aether gravity waves). Conceptual unification of energy, mass, and gravity (in 2010) DSSU aether First conceptual unification of aether, energy, mass, gravity, and "space" (i.e., DSSU’s non-material aether). Aether explanation for “refractive” speed variation (of photons). The phenomenon of light refraction consists of (i) a characteristic bending and (ii) an apparent decrease in the speed of the light. The latter has a ready explanation in the aether theory. Essentially, the speed of EM-waves (photons) in a material medium remains unchanged. The speed, with respect to the aether, remains unaltered and unalterable —it is always c with respect to aether. BUT because of the phenomenon of photon scattering by the atomic structure of the dielectric medium, the path-length of the photon increases and thereby gives the appearance of a slowing of wave/photon propagation —an effect associated with refraction and measured as the dielectric refractive index. The increase in path length and its connection to the refraction index is described, in mathematical detail, by Professor Cahill (www.ptep-online.com/index_files/2011/PP-24-04.pdf). New explanation found for the “Fresnel drag effect” (in 2011) Luminiferous R.T. Cahill and David Brotherton determined that there is no actual “drag” phenomenon. Rather, the “Fresnel drag effect” is merely the consequence of the manner in which photons are conducted (by simple electromagnetic scattering) within a dielectric medium and of the velocity (speed & direction) of the luminiferous aether flowing through the dielectric. The basic principle involved here is that the one-way speed of light is not constant, but depends on the velocity of the aether wind. Discovery of the gravity mechanism of cosmic structure (in 2012) Gravitational DSSU aether The universe consists of autonomous gravity domains which are perpetually sustained by Primary, Secondary, and Tertiary gravity processes. (The processes are, respectively, aether excitation-annihilation by matter/energy, aether self-dissipation in contractile-gravity regions, and aether expansion by axiomatic imperative.) In terms of these gravity domains, the universe is a "dense packing" of tetrahedral and octahedral cosmic-scale gravity cells. Discovery of the cause of the cosmic redshift (2013-2014) Aether flow has a velocity gradient. (The gradient pattern defines gravity wells) It is a remarkable fact that wavelengths of light will stretch while propagating in the descending direction of the gradient AND also while propagating in the ascending direction of the gradient. The velocity differential of the flow of aether is responsible for wavelength elongation. This is known as the velocity-differential mechanism of the cosmic redshift. The implications for cosmology are profound ! Notes: Historically there are three basic types of aether: (i) Aristotle’s fifth element, (ii) luminiferous, and (iii) gravitational. The symbol Λ stands for the cosmological constant in most conventional theories, and for the generic expansion of the space medium in DSSU theory. Harold Aspden: British theoretical particle physicist. Aspden developed an aether consisting of particles which possess energy in the form of a negative charge. With his gravitation mechanism, based on graviton “force” carriers, he was able to derive quantitative values for fundamental physical constants G, h, α (the fine structure constant), and Λ (the cosmological constant) that conformed to experimentally measured values. He embraced the idea, originated by others, that a body in rotation will develop a magnetic field as a gravitational phenomenon —offering a natural explanation for Earth's magnetic field reversals. The denial of aether has led to a chain of misconceptions of the nature of reality that can only be described as incomplete at best and paradoxical at worst. After the initial misinterpretation of 1887, one misconception led to another, widening the non-reality, deepening the unresolvability. The first misconception was the no-preferred-frame idea. It led to Maxwell’s perfectly valid preferred frame of reference being discarded. Then, without a special frame, there can be no absolute motion. It then follows that without absolute motion ALL translational motion must be relative. And if all motion is relative, what better way is there for describing the physical world than with Einstein’s special and general relativity? The historic chain of misconceptions continued as relativity theory was applied to the whole universe and eventually gave us Sean Carroll’s preposterous expanding universe. Physicists know, or suspect, there is something wrong here. The incompleteness and the paradoxes that have arisen are too easily demonstrated to be ignored. Unfortunately, the premise was invalid from the very start. Unfortunately, the rejection of aether and the consequential incomplete theory of gravity has led theorists to propose highly speculative universes of mathematical genre —abstractions devoid of reality. Although the premise was flawed, in the course of theoretical development the step-by-step logic, for decade after decade, was wonderfully flawless and found its grandest expression as the golden age of the expanding universes. The 20th century witnessed an astrocopeia of models based on Einstein’s gravity equations. (Check out the lengthy list of expansion models in Table 2 of the Web article, Models of the Universe). Like the Sorcerer’s Apprentice whose spell conjured up too many magic brooms, theorists were finding that their magical mathematical equations were producing more and more versions of the expansion scenario. As I said, it was a golden season; expansion was the big thing, and the harvest was abundant. But now it is wintertime —time for testing survivability. This vast enterprise, responsible for proliferating and for stockpiling a multitude of theoretical models, must now face the frigid fact that there was —there is— only one real universe! ... And any scientist, professional or amateur, will tell you that a theory that allows (or predicts) too many possibilities makes for a very weak theory. A weak theory is more appropriately called a hypothesis or a speculation; and rarely survives. The point is they —Academic Cosmologists— have problems. Serious problems. When theorists deny the existence of aether they are left with no medium for the propagation of Maxwell’s electromagnetic waves. Seemingly unaware of the inconsistency, physicists discard the perfectly intuitive and sound notion, whereby aether serves as the medium for the propagation of light, while claiming that the emptiness of space is filled with all kinds of stuff like quantum particle-pair formation, and various entities continually popping in and out of existence, and, of course, vacuum energy. But note, these things are not just scattered around randomly in “empty” space. They permeate all space. Physicist Robert Oerter, in his book A Theory of Almost Everything, explains that there are harmonic oscillators, one at each point in space, wherever there are quantum fields (which happens to be most everywhere). In what is otherwise empty space, these oscillators are pulsating in their lowest energy state. “We know, however, that a harmonic oscillator has some energy even in its lowest energy state. This vacuum energy exists at every point in space ...”  Robert Oerter leaves no room for doubt; there are entities at every point in space! But wait a minute ... that sounds suspiciously like a space medium. The situation with the light-conducting medium reveals a problem on another level. It reveals the age old “problem” of heresy, the undermining of the establishment’s sacred ideas. The guardians of the Official view do not tolerate dissent. Consequently, under the oppressive rules of Academia no one today dares to call it the luminiferous aether let alone generic aether. For two thousand years, few dared to challenge the authority of Aristotle. Today, few dare to challenge the authority of Einstein. Aether denial, of course, goes hand in hand with the denial of absolute motion —yet absolute motion is surprisingly easy to prove. Here we have what may well be the biggest problem of all. Without aether there is no plausible way to convey the effect of gravity. We are left with no way to convey Newton’s force of gravity. And in the terminology of general relativity: we are left with no way to manifest the effect of space curvature. It is sad to note that more than 300 years after Newton presented the world with a scientific definition of gravity, the cause is still being reported as a mystery. Peter Bergmann, a devoted student and follower of Einstein, underscores this dismal deficiency by authoring a book entitled The Riddle of Gravitation. 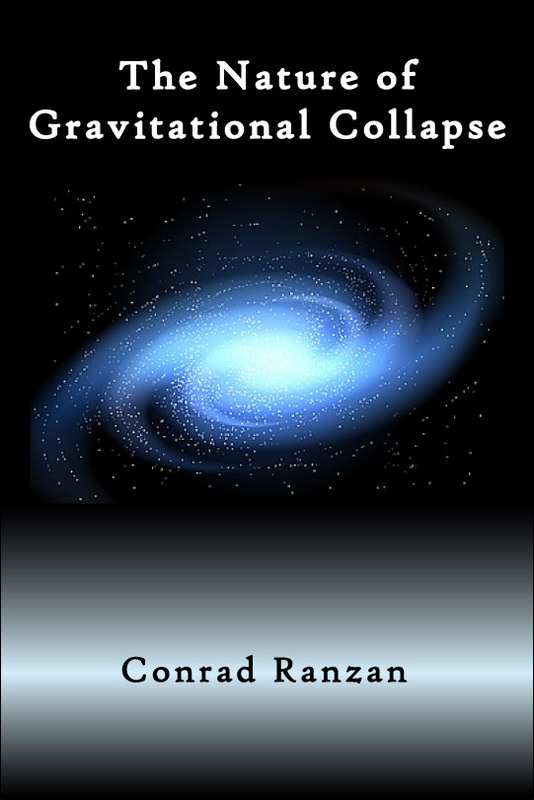 The title refers to the unresolved problem of Einstein’s theory of gravity. For relativity experts like Bergmann, gravity is a mystery for the simple reason that the underlying mechanism is missing. The rejection of aether, and its dynamic properties, is directly responsible for this impasse. Without aether, theorists are led to a totally unrealistic picture of the universe. They arrive at a philosophically untenable picture of an expanding universe with its physically impossible singularity initial state and its questionable future end state. They lose sight of the principle that the Universe, although the sum total of all the things and entities that exist, is not itself a thing. While the existence of things and entities may, and do, begin and end, the existence of the Universe is absolute and cannot be qualified in any way. There is also a major practical problem. Without aether there is no plausible way to explain the abundant experimental evidence detailed in the Chronology Table above. There is no way to explain the findings by using standard physics. Yet it appears that official institutions are not in any hurry to solve the mystery. For instance, in 1999 NASA set up an investigative commission headed by Dr. David Noever (a NASA scientist) to review the Maurice Allais experiments. A decade later and there was still no word on the outcome. The lengthy delay speaks volumes. One suspects there is a desperate effort to avert a revolution in physics and cosmology; and it is unlikely that the report will ever be issued. Maurice Allais is unlikely to live long enough to see it anyway. A website search of NASA (http://Science.msfc.nasa.gov/) gives only the original 1999 report. Two more examples of neglected experiments with solid evidence are the Dayton Miller 1925/26 studies and the Roland De Witte 1991 tests lasting 178 days. It has been predicted that these two experiments will eventually be recognized as two of the most significant experiments in physics. The experiments were completely independent and used significantly different techniques yet they detected the same velocity of absolute motion. Furthermore, they detected clear evidence of turbulence in the flow of aether past the Earth. They had discovered aether-type gravitational waves. Again, officially sanctioned theories have no plausible explanation. Both Miller and De Witte have been repeatedly attacked for their discoveries. Sadly, De Witte was never permitted to publish his data in a physics journal. Tragically, after being dismissed from his research position, being misled by so-called anti-relativists, and having his findings ignored and even censured, Roland De Witte became deeply depressed and suffered an early death. The rejection of aether has now led to a near crisis situation in Cosmology and Physics. The proof of the existence of aether is out there. It is being ignored and even suppressed. Evidence is ignored, year after year. All the while the experimental physicists keep rediscovering what is not supposed to exist —the aether and its associated absolute motion. A review of the history of aether reveals that aether is repeatedly being re-discovered; as if its previous discovery has been forgotten, again and again. For instance, Roland De Witte was unaware of Miller’s historic work. ... Forgive the broadness of my question, but what is going on here!? What kind of science is being practiced in society’s noble institutions when solid experimental evidence is ignored? Or worse, censored and suppressed? The study and research of a cosmos devoid of its essential ingredient, aether, is as pointless and unproductive as were traditional theological dissertations. Cosmology without the aether concept is a dead-end endeavor —assuming, of course, that one’s goal is the perception of reality. Cosmology as a belief system is a different matter. Needless to say, if one is practicing cosmology as a quasi-religion then one is free to believe whatever one chooses. Unrestrained by the scientific method, one is free to ignore the paradoxes that arise, free to include the non sequiturs, free to worship any authority. It is indeed sad to report that Academic Cosmology has made a grave digression; it has become a belief system. The aether controversy reveals the century long transformation of Academic Cosmology —a transformation into non-scientific Creationism. Science historian Corey S. Powell in his book, God in the Equation, provocatively and eloquently argues that what Academia practices today is a faith called “science/religion” and details how Einstein, the most popular genius of the century, became the prophet of a cosmological revolution. 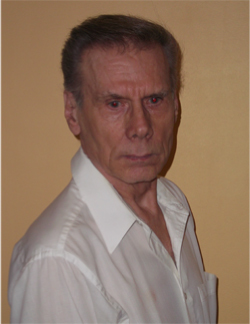 The discoverer (in 2002) of the mechanism of gravitation. The faith-based cosmology dominated the 20th century. The new cosmology began in the year 2002 with Cahill’s discovery of the mechanism of gravitation and the author’s development of DSSU theory. 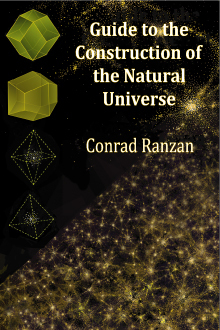 It is a cosmology based on a new concept of aether. It should be made clear that the new aether theory with its heretical notion of absolute space and absolute motion does not necessarily entail the rejecting and replacing of existing theories. For instance, Einstein’s theory of relative motion remains valid in a restricted sense; the theory is subsumed as relative motion becomes but a special case of a more general theory of aether-referenced motion. General relativity theory remains valid in a restricted mathematical sense. Now if the subsummation of Einstein’s relativity is what is involved here, then most physicists have misconceived the threat to their belief system. They had always thought that legitimizing an aether theory would mean the overthrow of Relativity. They simply had not expected that a theory of absoluteness could embrace Relativity and incorporate it into a broader theory. Another misconception is the notion that absolute space is explicitly a static space. True enough, Newton’s space was absolute and static. But it is not a necessary combination. Consider a non-absolute space. Einstein’s geometrized space was non-absolute and notably dynamic. And this also is not a necessary combination. These characteristics are but the chosen axioms of a particular theory. Newton chose absolute and static, Einstein chose non-absolute and dynamic. Both choices are problematic. So the obvious question arises; what about a combination of absolute and dynamic? And the answer came in the year 2002. Under a new theory (see DSSU theory in the table above) axioms were selected to make space absolute and dynamic. Absolute because the experimental evidence demands it to be so; dynamic because Einstein and Friedmann proved it to be so. Significantly, in DSSU theory, space, as general relativity unequivocally demands, retains its ability to expand and to contract. Definitively, DSSU aether-space is both absolute and dual-dynamic and not at all static. Does this make for a superior type of space? To answer this question, consider what the standard theory is missing and what the new-cosmology theory offers. Both Newton’s gravity and Einstein’s gravity do not give an actual cause or an actual mechanism; but a properly constructed aether theory does. The dual-dynamic aether provides Einstein’s mathematical theory of gravity with what the theory has long been lacking —a real-world ‘substrate’ with the real ability to convey the gravitational effect. (And this ability has nothing to do with the propagation of gravitons. The new aether is not a medium for gravitons.) In other words, DSSU aether endows the theory of gravity with its essential causal mechanism. The definition of the phenomenon we know as gravity (applicable to DSSU theory as well as Process Physics) is the inhomogeneous bulk flow of aether-space towards and into matter. The emphasis is on the inhomogeneity of the aether flow, rather than the flow-motion itself, and manifests as acceleration. The foregoing is the definition of normal gravity (i.e., contractile) the related definition for unified gravity simply includes the expansionary aspect of aether-space. Indeed, the New Cosmology does have a superior type of space. Not only does it provide the causal mechanism for gravity, but it also makes possible a unified theory of gravity. The History of the Aether Theory. The growth of research into aether theory is dramatic. There are now a growing number of websites, papers and essays devoted to the subject. The CellularUniverse.org website is but one of many. One of the best sources for articles relating to aether-space is Mountain Man Graphics. For details see the Articles and Papers posted on the Dynamic Steady State Universe website (http://www.CellularUniverse.org/). Independent physicist, Miles Mathis, reports (in his recent paper The Allais Effect and Majorana) the following: "I want to point out a very strange 'coincidence.' In researching the Allais Effect, I discovered that the scientist in charge of NASA’s pendulum and gravimeter experiments at Marshall Space Flight Center was a man named David Noever. Noever is now AWOL from NASA, and this, we are told, is one reason we have no data from the 1999 experiments (it doesn’t, however, explain why we have no data from the other [participants])." It is remarkably easy to make the argument that mainstream cosmology has been transformed into a new-age religion. Any cosmology constructed around a cosmic creation scenario with its inherent logical paradoxes (such as the paradox of first cause) when embraced and promoted by the Establishment becomes an official doctrine of faith. Twentieth century creationism-cosmology is a religion and, as such, I personally have no problem with it. The fire and brimstone genesis of the BB hypothesis conforms pleasingly to the Biblical Genesis; the possible gravitational re-collapse of regional matter, if not of the entire universe, makes a rather fitting apocalyptic cataclysmic ending. However, not being a believer, I reject the BB Creationist model and find myself compelled to seek a scientific solution.